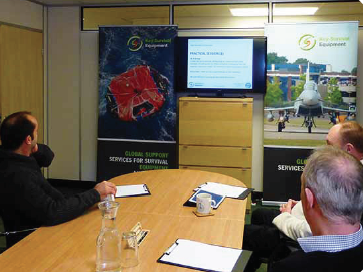 From Aircrew Equipment to AEA/PFE/ALSE maintenance, we can deliver the training you need. Our team has unrivalled, in-depth knowledge of techniques to ensure the best outcome for you. Our staff can travel anywhere in the world at any time to provide customers with courses that are highly regarded across the globe. You can be fully assured that your requirements can be met in full and that your trainees will be benefitting from a wealth of experience on a course that has been designed to suit your needs. All courses are delivered by our highly experienced training team. 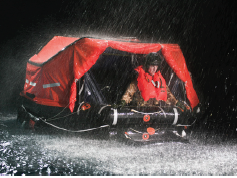 Our bespoke courses are designed, created, delivered and supported by Key Survival Equipment. All of our courses are tailored to your requirements. We can alter them to suit the skill levels of the student from basic skill level through to advanced standards and are wholly dependant on customer requirements such as the length of the course, dates of the course, and location. We can carry out a thorough analysis to give an overview of where training is required and to what depth, within your organisation. Whether it’s a day trip to the sea or you are planning to stay longer in the jungle, whether it’s for leisure or it’s part of your job, you need to be prepared for every eventuality. 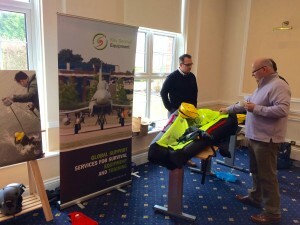 Key Survival Equipment can offer you the best courses tailored to any climate, landscape or customer, and we can deliver it anywhere in the world at any time. Key Survival Equipment also offers specialised courses for anyone going into conflict zones. 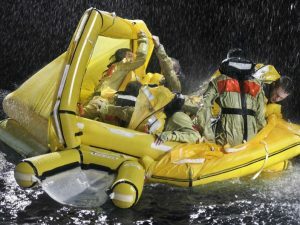 All of our instructors have an in-depth knowledge of Aviation and Marine Survival, Aircrew (AEA) and Pilot Flight Equipment (PFE) and the use of these items, this means that you can be fully assured that our courses can be generated and delivered by our team. Our two-day CPD accredited course is essential if you have just been promoted to a training or coaching role or you wish to refresh your skills. It allows a better understanding of the fundamentals of developing organisational skills and staff development. To see what we can offer you, click the images below.